The BMW X2, all-new, is a sporty vehicle positioned like a coupe, but providing the space of a compact SUV. With its well-appointed interior, powerful performance, and well-designed exterior, the X2 is a joy to own (or lease) in Westchester County, Yonkers, and Hartsdale. But as you drive, you might wonder what some of those dashboard symbols mean. When they turn on, checking your owner’s manual is a great place to start. But, if you’re looking for more information, BMW of Westchester invites you to view this guide to the BMW X2 dashboard symbols. The check engine light can truly mean just about anything. 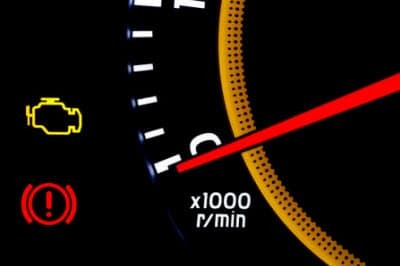 If the light is flashing, the engine or its components could be misfiring. It could also be something as simple as the gas cap being loose. If the gas cap and tank appear normal, keep speeds low and don’t accelerate quickly from a full stop. If the engine isn’t working properly, the emissions control system might be affected. Have your vehicle serviced as soon as possible. If you see the word “BRAKE” in all caps, the brake system in your vehicle may be malfunctioning. This light will also be on when the emergency brake is activated, so make sure the brake is off before you begin driving. This light can indicate that brake fluid is low, which means the brake pads also might be worn down. We’ll be happy to take a look at the brake fluid and inspect the brake pads to ensure the BMW X2 is safe to drive. If the light that looks like parentheses surrounding an exclamation point comes on, that’s the tire pressure light. It means pressure in at least one tire has dipped below the manufacturer recommended level. Check all four tires with a tire pressure gauge. If you don’t have the owner’s manual with you, the correct pressure information can be found inside the driver’s side door jamb. Remember that tires can lose air when the temperature drops. Keeping them at a proper level ensures the best fuel economy numbers throughout the calendar year. The light that’s shaped like an oil can will turn on when oil pressure is low. If the light is red, pull the car over as soon as possible in a safe spot and turn the engine off. Once the engine has cooled down (about 20 minutes), check to see if the oil level is where it should be. Add oil if necessary. Coolant is what keeps the BMW X2 engine from overheating. This fluid cools the engine down. If the light turns on, you’ll have to add coolant. Check to make sure there isn’t a leak that’s causing the vehicle to lose fluid. 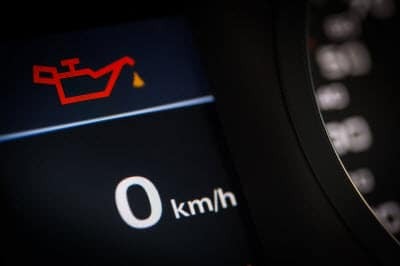 When a dashboard light turns on, contact the BMW of Westchester service center if you have questions about what the symbol means. We’re proud to serve BMW drivers in Westchester County, Yonkers, and Hartsdale, and look forward to maintaining and servicing your vehicle for years to come.